Do you get vision problems from your Multiple Sclerosis? 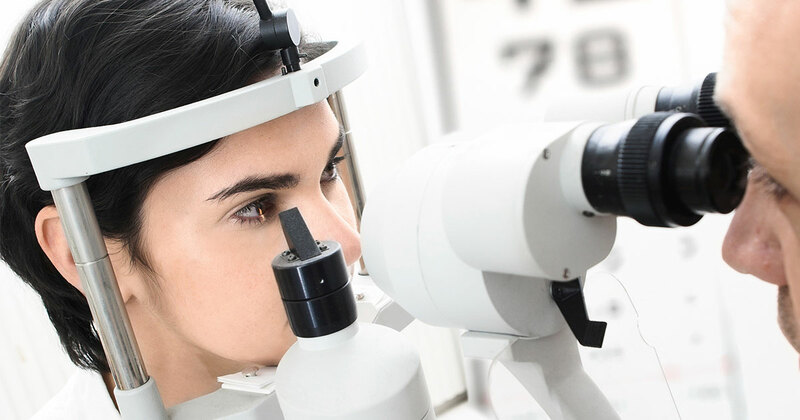 Eighty percent of us get them as vision problems and MS is quite common. I woke up one day with double vision, the following day it was worse, was afraid of a stroke because I am a heart patient. Went to the ER they ran a CT scan which caused concern so they admitted me ran a MRI the following morning. I was just diagnosed with MS August 12. Typical story. Blind in left eye all of a sudden one day, diagnosed with MS shortly after being told I had optic neuritis. Gotten worse over the last 24 years with nystagmus now and nothing anyone can do about it! Grrrrr!!!! Driving at night has been hard for me for the past 2 years. But what really scared me was my colors got all messed up! So I went to my Nero and he sent me to an eye specialist. And they say I have optic nerve atrophy. .it means my m.s. has totally ruined my optic nerve and that it's just a matter of time before I'm completely blind! I'm scared to be blind! I have kids, I want to see so many more things! For me , this is the worst m.s. symptom I could get. I would take a wheelchair any day if I could just keep my eyes. @jaimeash I'm so sorry to hear that. That's definitely an incredibly scary situation to be in. Do you have any support from family members or friends you can confide in about your concerns? You're not alone. About 14 years after episode with optic neuritis in Left eye, glaucoma >was detected in the same EYE). IT HAS BEEN ABOUT 15 YEARS AND HAPPY TO SAY I CAN STILL SEE, TAKE EYE DROPS FOR GLAUCOMA. IT STILL PUZZLES ME OF THIS COINCIDENCE. Dr's dint believe the 2 are connected but I do..and what came first, "the chicken or the egg?" Both conditions are caused by optic nerve I'd love to hear if anyone has a response for this. I was a Grade one, front line, Ambulanceman in 1977, when I contracted Optic Neuritis, I was virtually blind for a few day's, and my Doctor prescribed a shot of Cortisone in my bottom every day for a week. After ten days I was fine, and returned to work. My Neurologist, tells me now, that it was the first sign of MS. I was diagnosed in 2010 and keep to a fairly strict, non fat diet. I am not perfect, but I can cope ! I stopped all the Multiple sclerosis medicines prescribed due to severe side effects, and decided to go on natural herbal approach. My primary care provider introduced me to Rich Herbs Foundation and i immediately started on their Multiple Sclerosis herbal formula treatment, this herbal treatment has made a tremendous difference for me. My symptoms including shaking, muscle weakness, fatigue, mood swings, numbness, double vision and urinary retention all disappeared after the 4 months treatment! Their page is w w w. richherbsfoundation. c o m. Its just amazing!